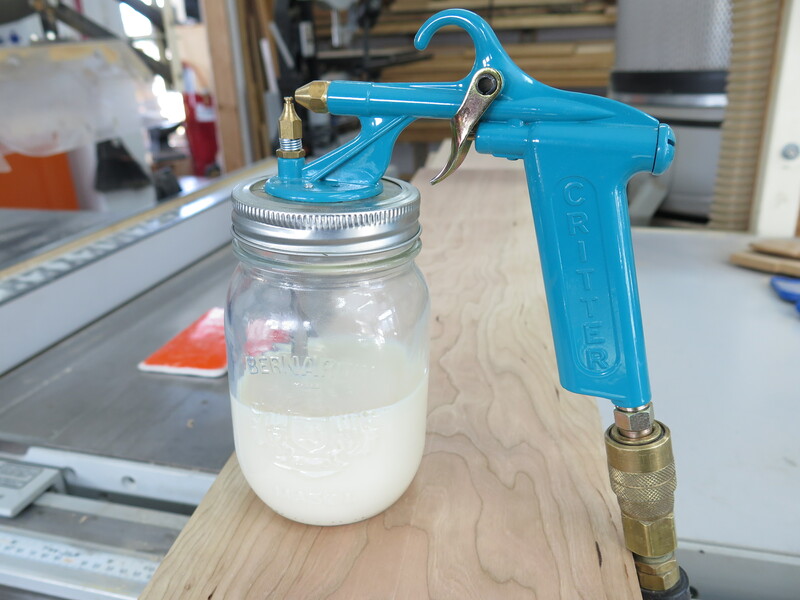 You’re probably not a professional wood finisher, but protecting wood by spraying polyurethane is something that comes up now and then with home maintenance, and more often if you do woodworking. Simplicity, reliability and effectiveness are why I like something called the Critter for spraying polyurethane. I’ve used and tested many brands and types of sprayers over the last 20 years, but this cheap little gun is unbeatable for small and medium-sized jobs. This is especially true with waterbased urethane. Besides the fact that you can operate the Critter off a portable trim compressor, this gun is dead simple and easy to keep clean. A standard mason jar holds the finishing liquid. Air flowing over an adjustable outlet pipe atomizes the liquid without it ever touching any needle. Simply raise or lower the threaded, spring-loaded outlet to add more or less finishing liquid to the spray stream. Have you ever had trouble getting a smooth finish brushing on waterbased urethane? Of course you have. The Critter handles thin paint, but it really shines when spraying polyurethane, especially the waterbased kind. It removes the one big problem most people face when applying waterbased urethane, namely the creation of brush strokes and hardened bubbles. Waterbased urethane usually dries so quickly that it’s easy to mess up. The Critter has enough output to coat about 10 square feet in less than 2 minutes. 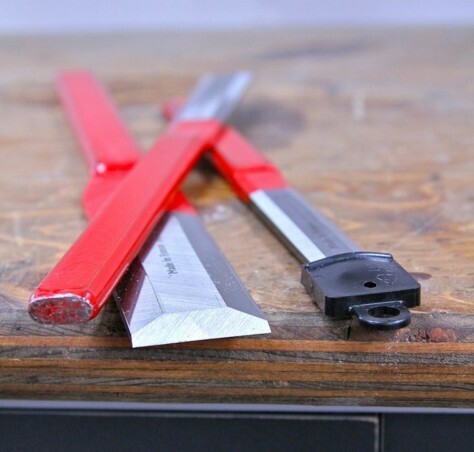 I bought mine from Lee Valley Tools for $55. Since the paint reservoir is a mason jar for making preserves, it’s easy to store different paints and urethanes for future use. Are there any drawbacks to the Critter? Just a couple. Since this gun uses high pressure air to atomize the stream of finishing liquid, there’s more over-spray to cloud the air than with a high-volume, low-pressure gun. It’s not a big problem, but you should expect it. Also, the Critter isn’t the strongest gun around, so it can’t spray heavy-bodied paints or varnishes, either. Both of these drawbacks are minor in my book. 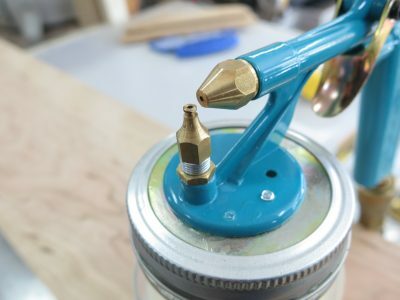 That’s why the Critter is my go-to spray gun for small and medium-sized jobs with light-bodied finishes. It’s especially good at spraying polyurethane finishes. Even with a spray gun on your side, it’s entirely possible that you’re wood finish doesn’t feel as smooth as you’d like. This is where buffing can help. Click here to learn about what may be the best kept secret behind wood finishing. This article and video is the most popular on my whole website.